Quality countertops are meant to last a long time but signs of erosion or cracks could warrant the need to replace kitchen countertops. New countertops add style, charm, value and appeal to your kitchen, so you don’t necessarily need any more reason than that to tear out your old countertops in exchange for new ones. Still, there are certain circumstances that entail the definite need to replace kitchen countertops or else appearances and eventually functionality will continue to decline. Low-end countertops tend to crack over time, at which point it might be time to replace them. They may wear down to the point you can actually see the wood or other material beneath. If this is the case there aren’t any repairs to solve the problem, meaning your only option is to replace. Thankfully, you can upgrade to the high quality and durability of granite countertops without spending a fortune. Contact Tops Kitchen Cabinet for wholesale prices on high quality granite. If your countertops have developed stubborn stains or ugly burn marks that no amount of scrubbing or sealant can remove it might be time to tear them out for good. If your countertops are showing serious signs of wear and tear it can make your entire kitchen appear worn and in need of a serious facelift. Before you rip out your old countertops it’s always advisable to do some research to make sure stains, chips, cracks or burns can’t be replaced via less invasive measures. If you’re listing your home for sale and your kitchen countertops are old and outdated, you might want to consider replacing them. Adding new countertops can drastically improve the appearance of your home. Plus, kitchens are among the most important rooms to potential homebuyers. You’ll be able to get more money for your home and sell it faster by renovating your kitchen with new countertops. 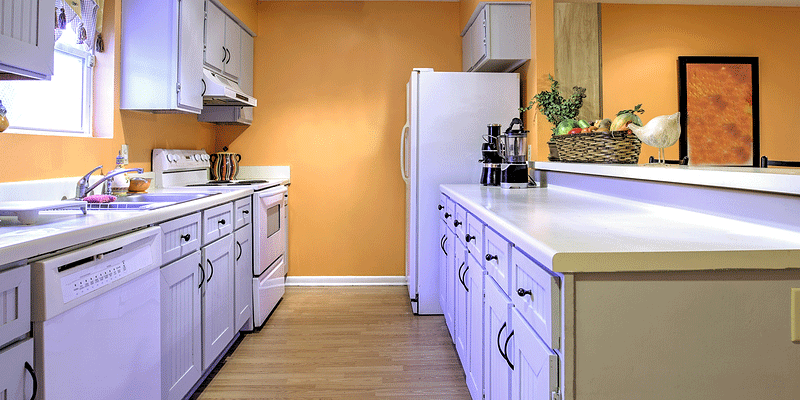 A new set of countertops can do wonders to the overall appearance of your kitchen. In fact, even if you touch nothing else it will look like an entirely new and updated space. It’s relatively simple to remove old countertops and replace with new ones. It’s surprisingly actually affordable to do so if you purchase wholesale granite countertops through Tops Kitchen Cabinet. Styles come and go and there’s little to nothing you can do to change the fact that your kitchen countertops are out of style. Outdated countertops can make your entire kitchen appear old and icky. To prevent new countertops from becoming outdated looking in the near future, seek out materials proven to surpass the test of time, such as granite. A kitchen fire that caused smoke or structural damage to your countertops generally results in the need to completely replace. Homeowner insurance may even cover the costs of these repairs. If you’re changing, rearranging or expanding your kitchen it might be time to get rid of those old countertops. In many cases it’s easier to replace all of your countertop surfaces than to try and match new materials to what you already have. If you are tall, short, wheelchair-bound or need uniquely designed countertops for any other reason, you’ll need to replace old countertops to get the customized results you’re after. Granite countertops outlast the competition. When granite begins to show signs of wear and tear it often only needs a coat of sealant as opposed to complete replacement. A perk to granite is that you don’t have to replace it for many years, and aside from the occasional coat of sealant it’s low-maintenance. -It’s been a few years since the last time it was sealed. Granite needs to be resealed about once every few years to keep surfaces in top-notch condition. -Surfaces are covered in etch marks. -You notice natural wear in the form of fissures or etch marks. Some of these fractures may require minor repairs prior to adding sealant, so it is always best to consult with a professional before doing any DIY sealant work. -You notice moisture rings left behind from glasses. This is a clear sign that your old sealant has worn off and is no longer doing its job.